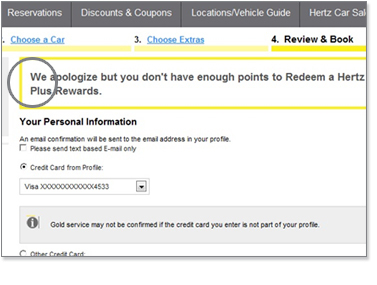 How can I redeem a reward and pay with my Hertz Gold Plus Rewards points? We’ve made it even easier for you to redeem a reward. Now you can make your reservation and select to use your points all at once. 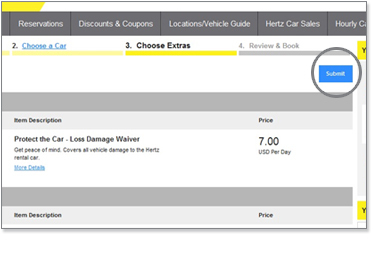 If your itinerary qualifies for a reward, you’ll see all your options on the “Review and Book” page. That’s right, you have options! 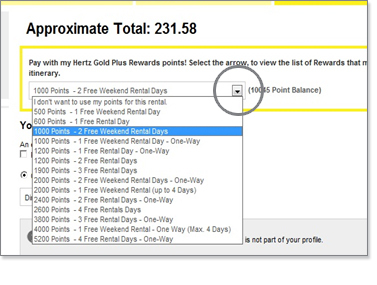 You can select to pay a portion of your rental with points or the whole thing. It’s up to you. To help you, please follow the simple steps below. 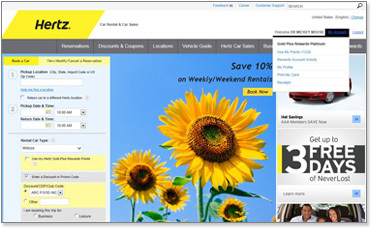 Check “Use My Hertz Gold Plus Rewards Points” to redeem a reward while entering your reservation information. Select the car you’d like to rent. Select additional options and hit “Submit”. 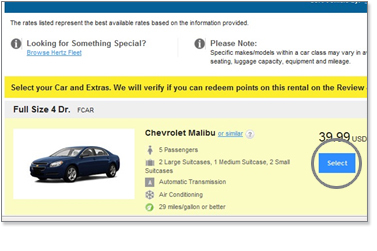 or you don’t have enough points, you will see a notice on this page. 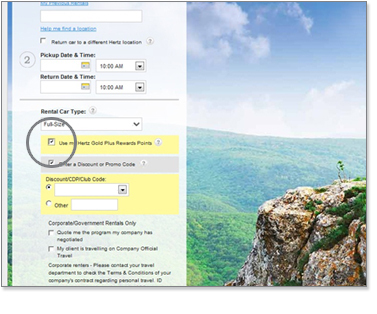 From here you can “Edit Itinerary” and use your points another time.